Buying a special piece of jewellery is one of the most romantic things in the world. All you think about is what will make you feel special – it’s the connection between the stone and the heart. Whether it’s a gold wedding band for a wedding or an eternity necklace you want to gift your spouse on your anniversary, a great idea will be to go for bespoke jewellery. There are many reasons why custom made jewellery have a better appeal than readily available designs. At AG & Sons, you get the best of both world – choice and price. Here are some advantages of bespoke jewellery ordered from AG & Sons. Bespoke jewellery is unique in all aspects. With this option, buyers have the option of ordering something extra special and something that rightly matches every aspect of the personality of the wearer. 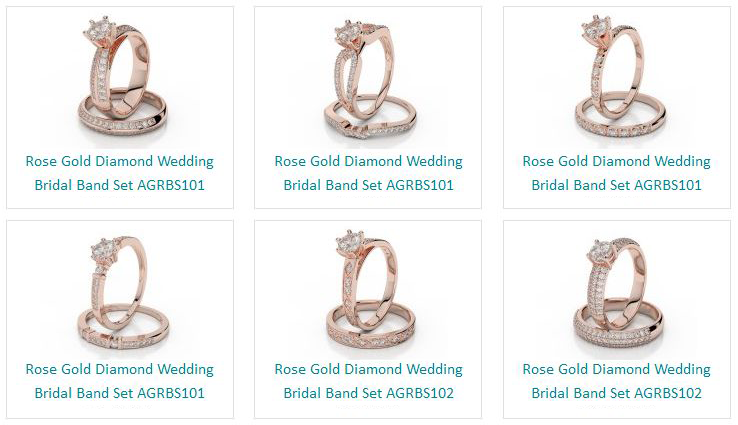 With normal options, the jewellery is mass produced and you would simply be buying a ring that you can easily come across in another’s finger in the same city. Well, with bespoke solutions, you can always know that you own the only piece of its kind in the whole wide world. With mass produced options, you always compromise on something, be it the wrong kind of stone in the right frame, be it the wrong price for the overtly estimated product, the wrong color of gemstone, the wrong size and so many other unavoidable circumstances. On the other hand, bespoke solutions let you make the right changes and get a piece of jewellery that is perfect in every aspect. You can use your imagination to create something out of the world and something that will be appreciated by all and something that will rightly say that it is your work. The best thing about bespoke jewellery is that you control the pricing. At AG & Sons, you can set your budget and ask for the things that can be done within it. It’s always a better alternative if you know few options that you can readily lie back on and too many options that will eventually let you down. Bespoke jewellery is designed from custom workshops and not from mass producing work stations and this also helps in lowering the price. Further, you can cave several options to keep the overheads low to have a tailor made service from service providers like AG & Sons. Bespoke comes with unique craftsmanship and with services like AG & Sons, you can have highly skilled and experienced people working on your piece of jewellery. This also ensures that you get the highest standards of manufacturing and using the best quality of infrastructure. Each order is reviewed and processed separately under detailed CAD techniques. What you get finally is a product that will leave everything else far behind. It’s like giving life to your imagination and holding/wearing what you have always dreamt of. Bespoke solutions gives buyers several options related to stones, design, make, weight, size and craftsmanship. This is all the very reason that many people today are choosing customized solutions rather than shopping directly from the jewellery store.